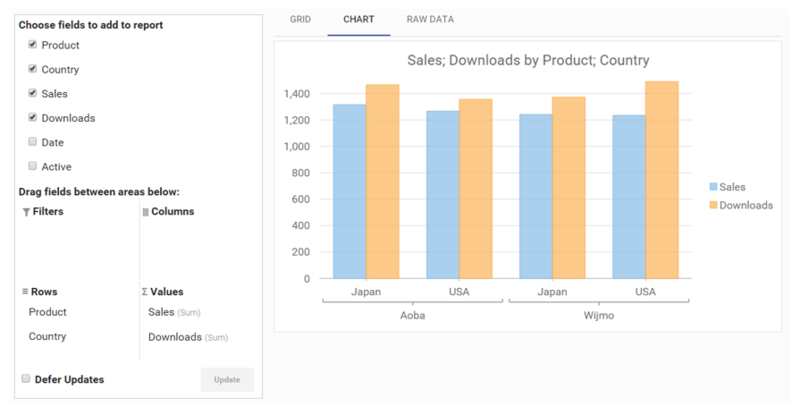 The PivotGrid shows the summary data, with collapsible rows and columns, and subtotals. But those are just examples. You have complete flexibility to combine the controls in the Wijmo Olap module to build interfaces that meet your application’s requirements.